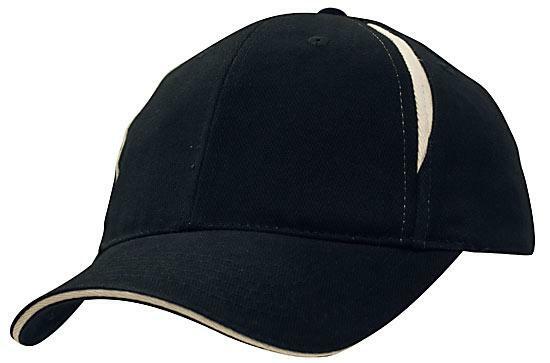 Featuring contrasting strips down the cap, the customised Crown Inserts Brushed Heavy Cotton Sandwich Cap is a one size fits all deal. Low prices and bulk discounts all year round. Not everything eye catching has to be overwhelmingly flamboyant. Sometimes it’s the hints of simplicity that counts. 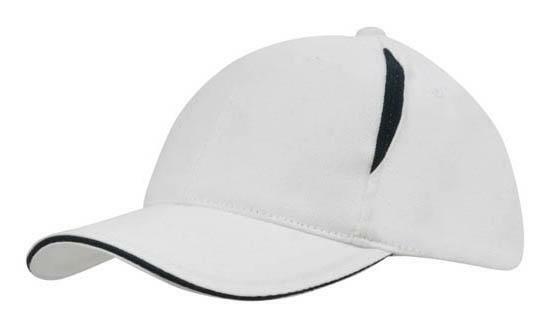 That’s exactly how we have designed the custom Crown Inserts Brushed Heavy Cotton Sandwich Cap. It’s the popular basic six-panel cap, but we strategically placed contrast colour inserts that run from the tip down to both sides of the cap. To complement the inserts, we also placed the same contrasting colour strip sandwiched at the tip of the peak. Simple as they are, they will definitely make a huge difference in your promotion. 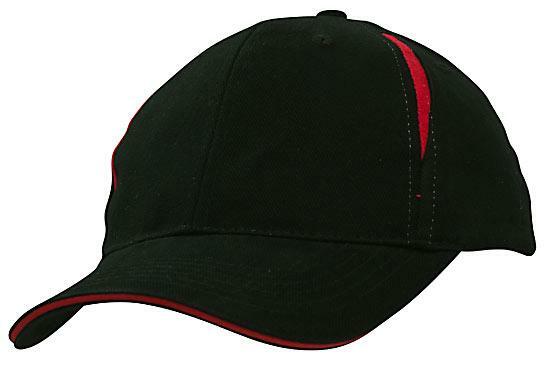 With your design right at the front, the promotional Crown Inserts Brushed Heavy Cotton Sandwich Cap will certainly draw attention and leave a memorable impression about your company. Use it for sporting events. Or maybe for a company retreat. 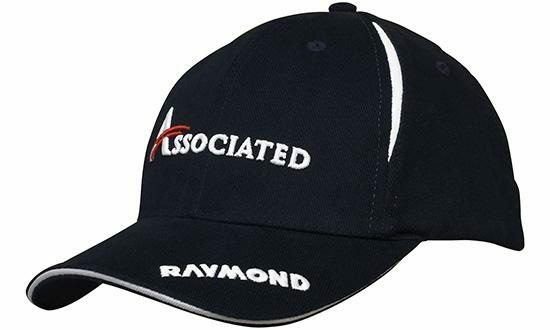 Or maybe you just need something to giveaway to your employees or your clients that will have your company remembered. 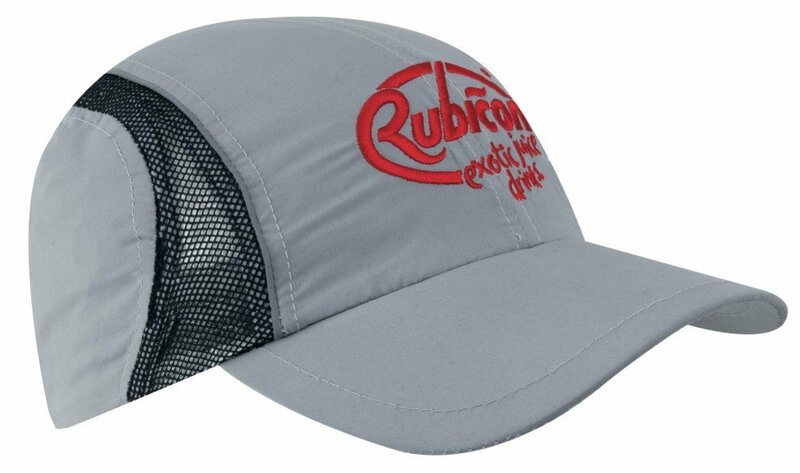 Whatever your purpose is, the Crown Inserts Brushed Heavy Cotton Sandwich Cap will definitely be a winner. 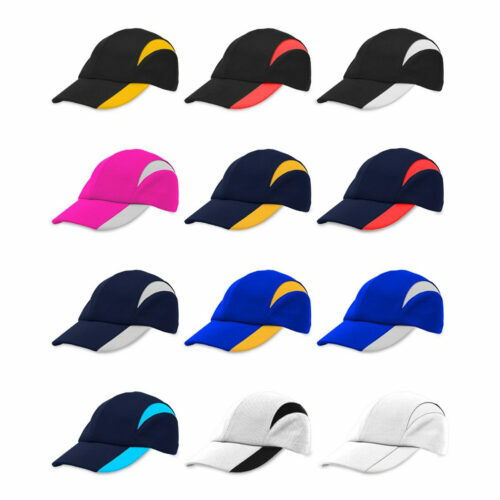 We the have eight colour options to match your design. Among the popular ones are the black/navy and black/white. Choose black/gold or navy/gold for an elegant look. Anything with red always looks bold so if you want that look, we have black/red and red/white. Don’t even worry about the budget. The personalised Crown Inserts Brushed Heavy Cotton Sandwich Cap is made to the highest quality while being affordable at the same time. Keep browsing our site to see what else we have to offer. If you want other simple but attractive caps, consider the promotional Acrylic Cap. 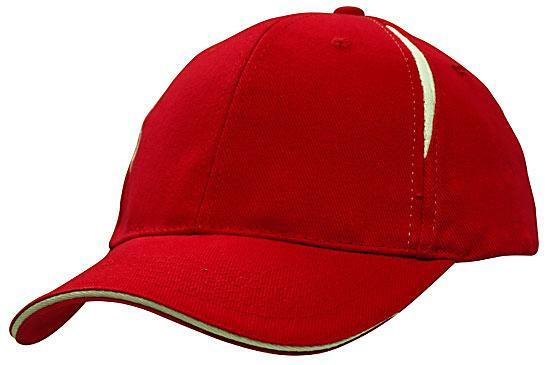 This cap will have nothing else but your design to serve as the highlight. Or maybe you want to go the extravagant route? Then the custom Rainbow Cap might just be your thing. It’s multicoloured peak just screams attention. Our promotional Crown Inserts Brushed Heavy Cotton Sandwich Cap is ideal for keeping your brand on top. 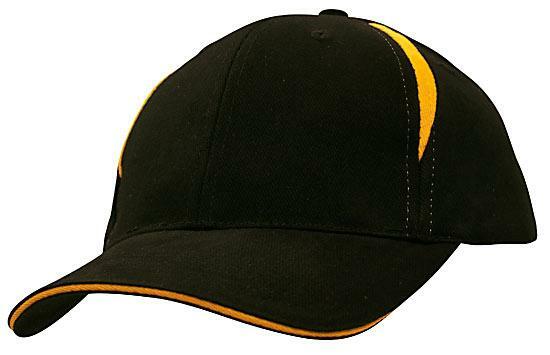 This hat is an excellent marketing giveaway. Need to keep the game going? Check our Chocolate Poker Chip Playing Cards Set, and our other customizable confectioneries. If you’ve found what you’re looking for and are ready to order, just dial 1300 008 300. Or we can also go for live chat via our website. Likewise, simply hit us up if you have some questions or need clarifications.